Euromonitor’s vibrant new US headquarters began as a dark, water-damaged storage space in need of significant polish. 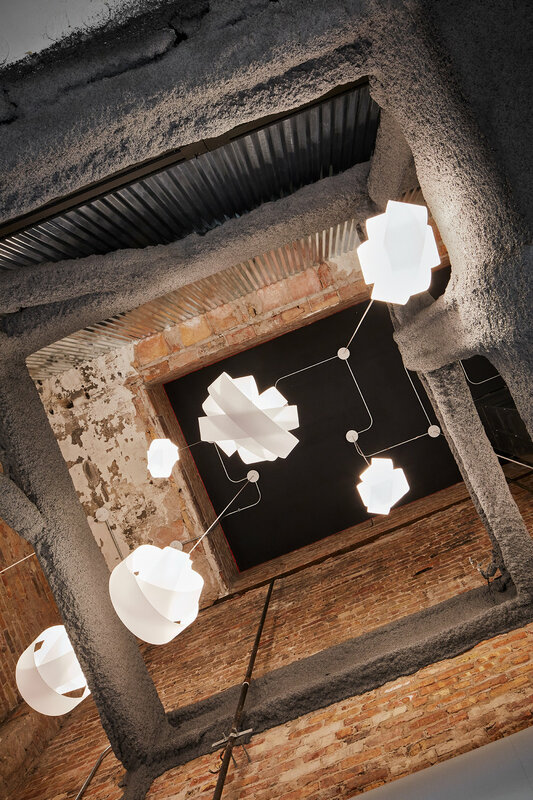 We worked closely with the global research company and the building on renovations, exposing and restoring brick throughout the space, and opening up two abandoned vertical mechanical shafts as well as three shuttered 40-foot long skylights. 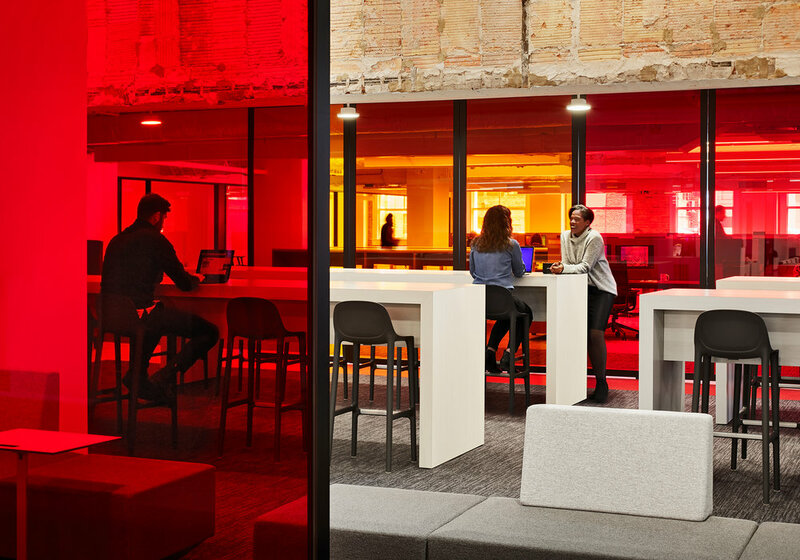 Our primary design goal was to highlight the industrial ambiance of the century-old building, engaging the existing architectural elements with the needs of a modern workplace. The company’s colorful brand identity influenced warm sunset accents, anchored by deep cobalt and greys. 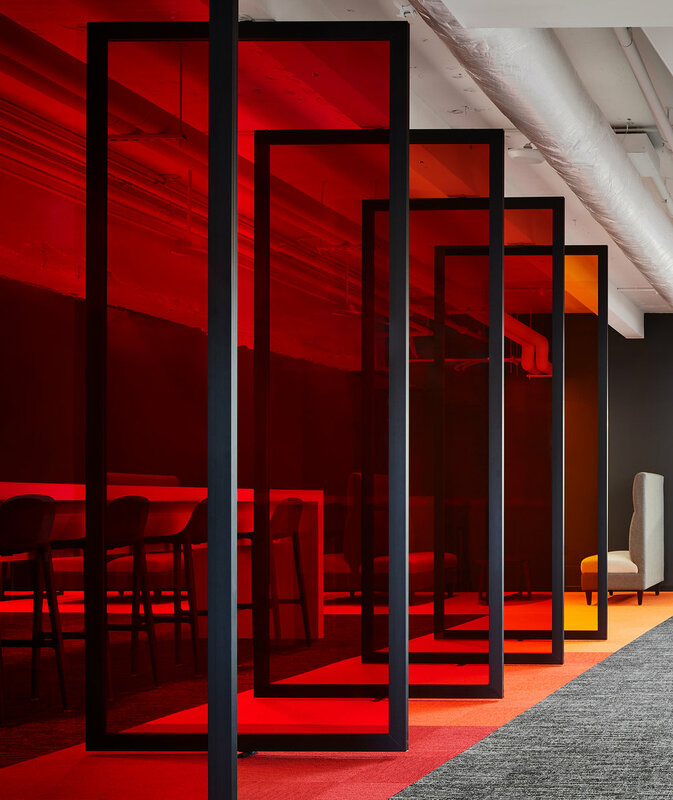 Multi-hued corridor graphics were developed alongside Euromonitor’s marketing team, and we balanced their intensity with relatively neutral lounge areas and workspace. Gathering spaces positioned below the shafts were dubbed “The Refectory” and “The Forum.” Planned for versatility, they were designed to hold Euromonitor’s full staff, while taking advantage of the shafts’ unique verticality. 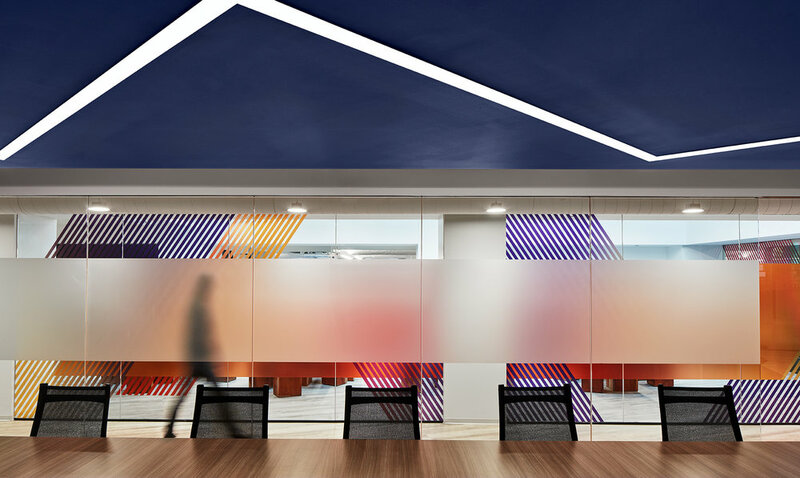 Polychromatic transparent panels pivot around the Forum, creating a saturated screen that separates it from open workspaces. Truly a hidden gem, our design transformed the gritty space into a flexible, functional office full of architectural surprises.